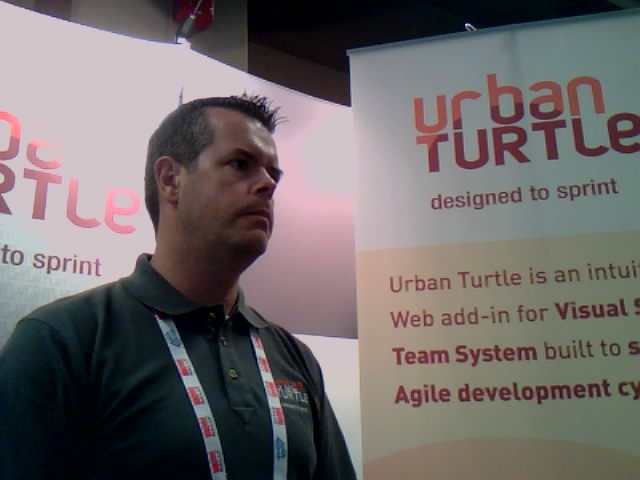 After spending 4 days helping out manning our booth at the Agile2009 conference in Chicago, I came to the conclusion that there are 6 types of visitors to the exhibition hall where various companies have a booth showcasing their products and services. Below is my summary of the various types. It is obvioulsy impossible to tell in which category an individual falls in unless you spend time talking them. The list below should help you qualify your potential leads. The Genuinly Interested: Having a booth at such events represents an important expense for many organizations and most people expect (at least hope) to cover their expenses by getting people to purchase their products or services. The Genuinly Interested attendee is exactly the type of individual companies target when they choose to rent a booth. The Genuinely Interested attendee demonstrates a positive reaction to your presentation, typically followed by one or more questions about the product. If an individual spends more than 10 minutes in your booth talking to you about your product, then requests further information and even offers to give you their business card – see our thoughts in opt-in marketing – you have a good potential. Needless to say, although this never guarantees a quick or even a direct sale, it is a great opportunity to educate your visitors who may potentially become a spokesperson for your product which would eventually lead to sales generation. The Skeptical: The initial behavior of the Skeptical is similar to that of the Genuinly Interested individual with the exception that the Skeptical is a little more difficult to handle as he seems more interested in pointing out the weaknesses of your product than he is in purchasing it. Although you may not enjoy the experience and you may wish the Skeptical to go away, that would be a mistake as the Skeptical is actually providing you useful market information. Let’s face it, people don’t have time to waste so when someone stops by your booth and actually spends time prodiving feedback, you should take advantage. As with the Genuinly Interested who may not purchase right there, the Skeptical will most probably talk about your product and the way you handle his feedback will likely have an impact down the line on your sales. The Toy Collector: These individual come in various shapes and forms. The more benign Toy Collectors simply walk to your booth and ask an attendee for the goodies – “I would like a t-shirt please”, “Can I take a mug?” – and then walk directly to the next booth with the same request. The trickier ones are those who stay to listen to your elevator pitch, node, might ask a question or two and then wait for or simply ask for the goods. It is only at the last minute you realize your visitor was simply interested in getting promotional toys. Once again, this behavior might be disappointing but you are also missing an important opportunity here. The main purpose for promotional items is to give visibility to you product or service and anyone who walks aways with an item that displays your company name, your company logo, and your web site should be welcomed at your booth. The Pesty Competitor: After you have been in your booth for a while, you start to see competitors come by and ask questions about your product or service and although you may wish to keep your competitive advantage hidden from your competitors, information exchange is a normal part of doing business – shame on you if you aren’t doing it. The Pesty Competitor is someone who takes so much of your time and attention that you are no longer able to talk to Genuinly Interested attendees. You could think, once again that this is a bad thing. Quite the contrary. You certainly don’t want competitors to take all of your time, but otherwise this is an amazing opportunities to discuss cooperation and potential partnership – assuming you are not competing for the exact same market segment. The Friend Seeker: This individual comes to your booth with no interest in your product. The Friend Seeker starts with simple questions and then moves on to more personal questions – “Where do you live?”, “Do you have any kids?”, “What are you doing after duty?”. Based on my experience, these individuals are rare and explaining to them you need to be working typically takes care of the visitor without any negative consequence unless, of course, you are also looking for friends to share dinner with. The Zombies: Finally, the Zombies are individuals who may walk through the exhibit hall at a fast pace while avoiding eye contact or simply do not even come near the exhibit hall. Needless to say, unless they already own your product, they are unlikely to become customers in the short term. Meeting so many people is always interesting and pleasant and making sure we deliver the most compelling messages to capture our visitors’ interest while remaining transparent is critical to stay true to our values and commitment toward the customer experience. As a final note, exchanging stories and experience with so many people during the conference has proven to be interesting, informative, and thought-provoking. Once in a while, we need to remind ourselves that such events are great opportunities to bring back great ideas then it’s up to our organization to decide how we will deal with these ideas. Why aren’t you collecting email addresses? Many of the exhibitors at the Agile2009 conference in Chicago are using the traditional scanner that lets them scan the attendees’ badge (access card). One of the nearby exhibitor (who meant well) approached us asking “Why aren’t you collecting email addresses?“. He couldn’t understand why we weren’t using such a device to obtain the email addresses of hundreds of attendees. If you are not familiar with the badge scanning concept, here’s how it works. In exchange for letting an exhibitor scan your badge, they will typically offer you to participate in a draw to win an iPod, a Wii, or any other potentially appealing gizmo’s. So for the cost of the reward (usually less than $300) they obtain a large number of valid email addresses that they can later use to send relevant (?) documentation, promotional offering, information about upcoming events, etc. While this strategy may sound appealing, the fact that we don’t use such scanning devices could appear counter-intuitive. The reason we refuse to scan badges is that we do not believe in building a “spam-list” – let’s call a spade, a spade! We do not believe that the names of people who simply agreed to participate in a draw to win something should be used for other purposes. These people weren’t specifically asked to opt-in an e-marketing campaign and since we truly live our values to treat our customers (even the potential ones) with respect, we do not collect email addresses unless the individual explicitly agreed to be contacted by our organization in the future and we do this with a simple question. “Would you agree to give us your business card so we can send you information about our products in the near future?“. In our opinion, people who knowingly agreed to provide personal information are more likely to pay attention to the incoming emails they would receive from our organization. Call it counter-intuitive if you wish, we call this “the customer experience“. It struck me today that the way organizations select and promote ideas and projects basically fall into 2 different categories. To demonstrate my point, I will compare the 2 approaches organizations used to find and select their next big blockbuster initiatives to the way my father and my father-in-law use to grow hot chili peppers. Before I start, I need to explain that my father-in-law was born and raised in Southern Italy where they traditionally grow and assemble these hot chili peppers as presented in the picture below. The first approach used by organizations to find their next big blockbuster initiative is to let people generate many quality ideas in the course of their activities. There are typically many ways to capture these ideas and some organizations even allow employees to experiment and put forward a prototype of their idea. This is similar to my father’s approach of putting many (many) seeds in a flower pot to ensure that he will get at least some plants as a results. By comparison, other organizations carefully analyze the various proposals and hand-pick a few high potential ideas behind which they will heavily invest time and resources in order to reach full market potential. This is similar to my father-in-law’s approach of carefully picking and drying seeds from the previous year’s crop to ensure that the selected seeds came from a high yielding plant. He then plants a few seeds and will spend countless hours nurturing them throughout summer to ensure he will get the best peppers he can. I came to realize that both methods are valid. The choice depends on what market the organization operates in and its ability to properly select the right ideas upfront. I suspect most organizations start with the first approach and as they build their expertise, the eventually move on to the second approach. When I got to chapter 5 (The Hyperlinked Organization) of The Cluetrain Manifesto: The End of Business as Usual, I was amazed to see how many parallels there are between what the author David Weinberger talks about and Agile Organizations. Traditional organizations (i.e. old-style management) use a Top-Down approach to communicate the strategy and transmit the orders. Employees are expected to execute on the orders and each level of the hierarchy is responsible to monitor the level below and take actions to correct any deviance from the plan. By comparison, any organization that operates like the web – via links and without hierarchy – greatly improves communication and performance. The growth of the internet has been qualified as the largest and most complex human developed system. 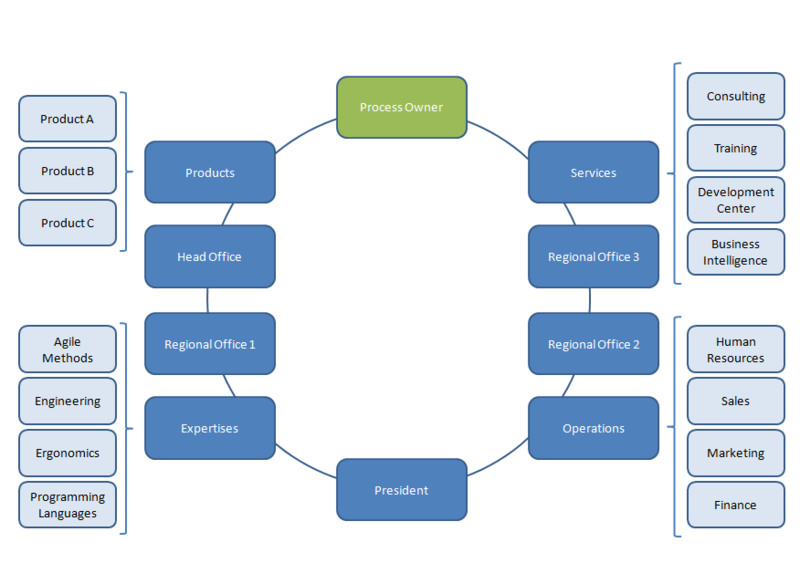 Organizational structures are no where near as complex. So why is it so difficult to break away from the command-and-control structure still used on most organizations?